Next Friday June 22nd is Bring Your Dog to Work Day. Having a dog in the room can make human colleagues more cooperative, reduce stress, increase job satisfaction and productivity. When adopting a dog or any animal from the GSPCA we often ask how many hours potential owners may be at work. Perhaps the question should actually be - are you able to take your dog to work? 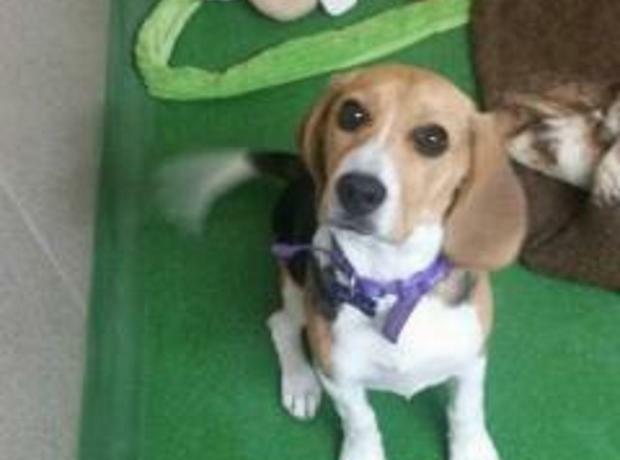 Discussing the benefits of taking a dog to work might just result in a match with a dog we have in for homing. This Friday June 23rd is Bring Your Dog to Work Day. It's Friday 24th June so please post your pictures of your dog in work today so we can see the lucky pooches who will be in vans, offices and schools with their owners. When posting online to share please tag @GSPCA and why not hastag #BringYourDogToWorkDay to join others with this global day. Next Friday June 24th is Bring Your Dog to Work Day. With cold winter weather soon to be upon us the GSPCA want pet owners to consider all the animals of Guernsey. Steve Byrne GSPCA Manager said "With Winter on its way, at the GSPCA we want to ensure pets and other animals kept and live outside are safe and have all they need." 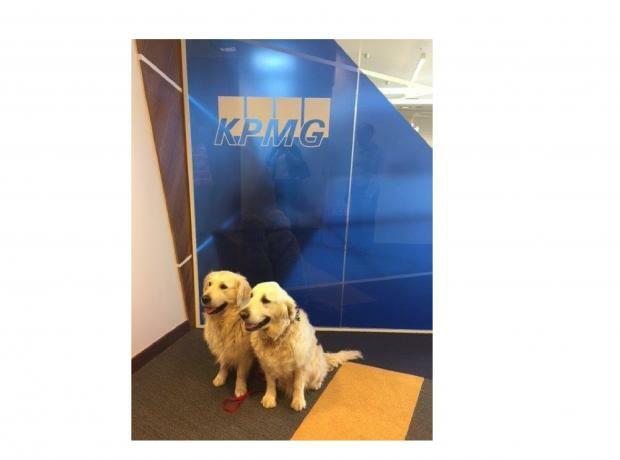 This Friday June 26th is Bring Your Dog to Work Day. On Saturday a member of the GSPCA were called out to rescue two turtles and two goldfish which were found outside in a very dirty tank. 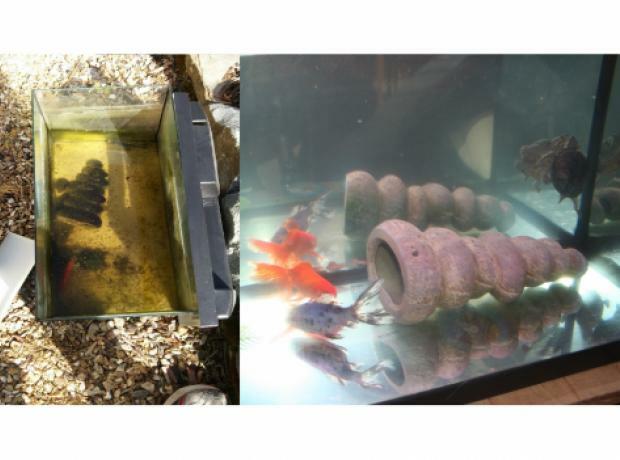 When Geoff George Animal Collection Officer rescued the fish and turtles he had to quickly try and find a location with appropriate tanks to help temporarily house them whilst facilities were arranged at the Animal Shelter in St Andrews. Thankfully staff at the Friquet Garden Centre in Castel offered their services where all four were transported to place them in suitable conditions. Check out our new Angel Pen Pal sponsor plaques thanks to Signrite - could you join us to help animals in Guernsey? Would you like to become a GSPCA Angel Pen Pal sponsor? If you would like to help us help animals in Guernsey then please sign up to be an Angel Pen Pal sponsor and help us each month to care for animals, rescue them and investigate cruelty. Whether for yourself, a loved one, a gift, in memory or for your business, work place or group there are many ways to support our vital work that is carried out 24 hours a day 7 days a week. At the GSPCA in Guernsey we help rescue, rehome, reunite and rehabilitate more cats than any other species of domestic animals. Today on World Cat Day we are appealing for donations for a very poorly cat. Popeye is a one eyed feline that needs a great deal of treatment on his right eye before he can find that forever home. Popeye is a young male cat that has come into the GSPCA with another cat called Greyson as sadly his owner passed away. Do remember Rose the hedgehog? Rose is one of many hedgehogs that we have had in recently to be injured by gardening equipment. After a long process of rehabilitation and care since arriving in April Rose is now back to health and fit enough to be released. Sadly due to her injuries to her head many of her spines haven't grown back, so a lovely home with an enclosed garden was found and Rose left the Shelter last Friday. When Rose went to her new home we equipped Mr & Mrs Herring with a wildlife camera to see how she got on in her new home.